Designer sports shoes are a very unique breed of footwear, for when you demand the comfort and practicality of athletic trainers, but with that added spark of style, brightening up those bland designs normally associated with these types of shoes. The amalgamation of these two very different styles was a stroke of genius. On paper it was something that should never have worked, yet despite all odds, they gel perfectly. High end runway brands have combined their never ending years of experience in the fashion industry with the the everyday look of sporting clothing lines, in the process creating the perfect casual and stylish footwear choices. Entwining the typical bright and bold colour schemes with sleek looks and stand out detailing, giving you the fashion edge at the gym or just running errands around town. 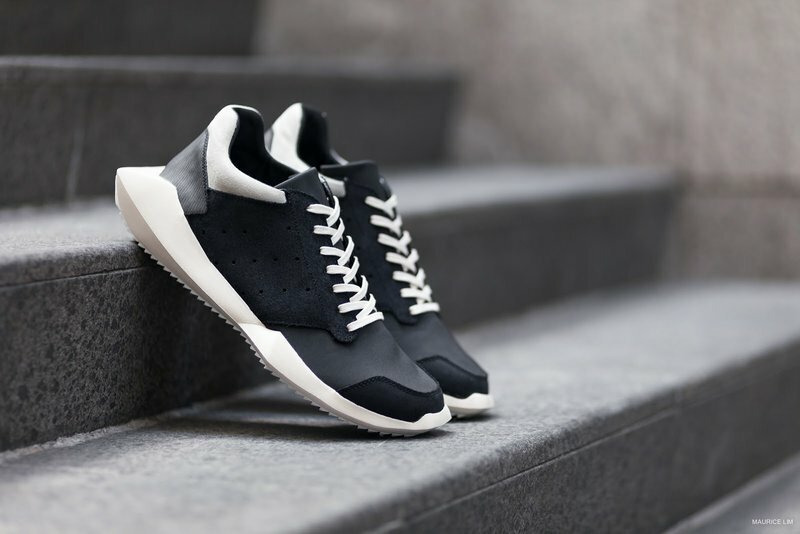 Amongst the endless sea of contenders in the designer menswear field of sports shoes, we’ve chosen our top 6 designer trainers from the likes of Burberry, Y-3 and Valentino that rose above the competition, to ensure you’ll always look the part. It’s that time of year again; the beautiful summer. And when the sun is up and the degrees rising, we think it’s good to wear a pair of comfy Chanel Espadrilles. Now introducing for the Pre-Fall 2017 Collection, here are the latest releases. The best choice is always the classic one; take the Espadrilles in white with black toes. For this season, the house used calfskin leather; which is also ideal when the fall starts. The CC logo is also crafted elegantly on the top. These are timeless pair, made with durable leather, which is something that doesn’t come very often. Another option to choose is patent calfskin with tweed. The effect of these two materials combined creates an eye-catching effect like shiny toes. The espadrilles are also crafted with special embellishment like the white one. For this season, Chanel has also introduced a pair in bright colors with Camellia patterns on it. The stripe of the quilting also read ‘CHANEL’ is very small letterings. Boot season is slowly creeping up on us and now is the perfect time to start getting ready for the brisk weather coming our way. Next week, the team will be going on our yearly summer break (don't worry, we'll still be delivering great stuff to read! ), and I've already carved out time to start shopping for some new fall pieces. One of the first things on my list to buy is a great pair of block-heel ankle boots. You can always bet on ankle boots for fall, and this season's offerings go beyond your typical, ubiquitous ankle booties. These boots hit slightly above the ankle, and the chunky block heels gives the look a casual, relaxed feel that is practical for comfortable daily wear. These boots feel particularly fresh due to the heavy embellishments and luxe materials available, such as velvet, in addition to your standard leathers and suedes. Style these boots with cropped jeans now or with full-length pants or leggings in the upcoming months! To get you started, check out some of our favorites below. I love browsing through sales. It makes me feel like a kid on Christmas morning! Even if you don’t find what you were hoping for under the tree, there are always other fun surprises like Lanvin’s white platforms. While the look is retro, they’re rocking some of the season’s best trends – metal heels, pointy toes, ankle straps, and white pumps. These shoes are worth the full ticket price, but if NET-A-PORTER’s going to give them away for less, who are we to argue? Other heels worth splurging (or saving) on are Alexander McQueen’s gold-dipped platforms. They’re about as glamorous as pumps come, and in perspex, that’s saying something. When shoes are half off that means you should get two pairs, right? Seems like sound logic to me! Dangerous, yet sound. Shop the full sale here. NET-A-PORTER Final Sale: Up to 80% Off! Meet your new favorite poolside shoe! Trimmed in jute and inspired by the color palette of none other than Piet Mondrian himself, it’s sure to check all of your summertime sandal boxes. Transition easily through the seasons with these colorblocked Whitney wedges from Paul Andrew. Spa slippers for less than the cost of a glass of rosé: How could you pass this up? A classic accessory like this is the best kind of sale find. Black and white never goes out of style. Envious of your boat-hopping friends in St. Barths? Come summer, they’ll be the ones green with envy when they see your crystal-accented sandals (and hear what you paid for them)! Let your shoes do the talking with a cute pair of strappy heels. From glitter embellishments to a caged look, we rounded up seven heels that go well with just about any outfit. So whether you want to wear your favorite glittery party dress or glam up your jeans, the strappy heel is a must-have style.